Welcome, Sunset Coast Trolley Fans! Welcome! We’re so glad you’re here! The Sunset Coast Trolley Company provides unique options for wedding transportation, wine tour transportation, historical tours, birthday parties, bar crawls and more. If you’re looking for more personality out of your transportation choice, you’ve come to the right place! 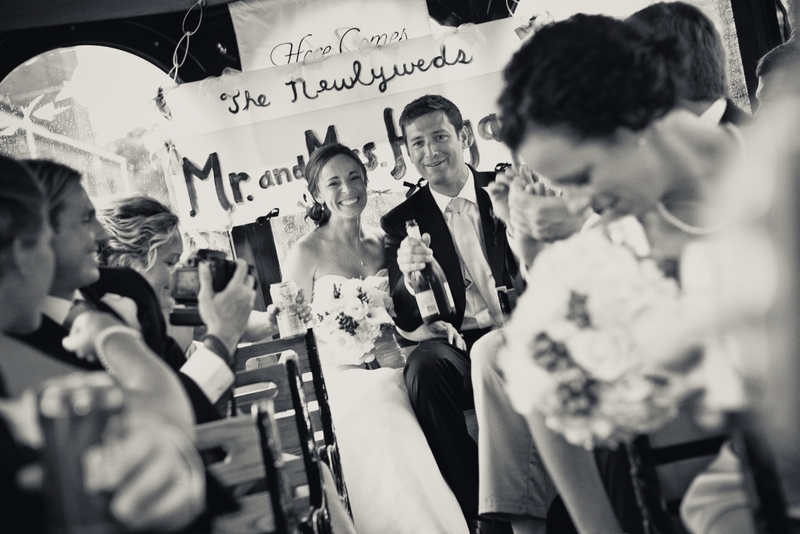 We’re your best bet for a wedding trolley or wedding transportation in Southwest Michigan. Easily travel from hotels to wedding ceremony locations, beach weddings, wedding venues and back again. The Sunset Coast Trolley Company is Southwest Michigan’s newest wedding transportation and wedding trolley company. Our first acquisition is the Marna-Nonna, a 34-passenger trolley (pictured left). This wedding trolley provides a great way to get around for the wedding party or for transportation for wedding guests. If you’d like to stylish way to get those “pictures of a lifetime”, this wedding transportation option is for you. You can even have adult beverages aboard! To learn more about how you can have a Sunset Coast Trolley at your special event, please request the wedding trolley here or give us a call at 269-408-3132. 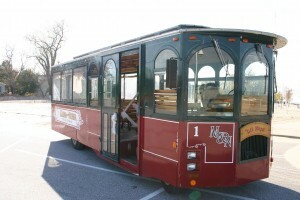 If you’re looking for a trolley in St. Joseph, Benton Harbor, New Buffalo, South Haven, Coloma, Dowagiac, Niles, Buchanan, Three Oaks, Three Rivers, Sawyer, Bridgman or any other city, Sunset Coast Trolley Company is your best option for a trolley in Southwest Michigan.